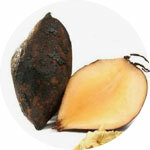 Here you find interesting Information about our ingredients. All ingredients contained in DocVita Mykosan-products come from strictly controlled organic cultivation and are allowed to carry the organic certification (DE-ÖKO-001). 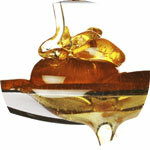 Consisting of 63-65% sucrose and 32-34% water content, maple syrup is healthy sweetener with a high content of minerals, such as calcium, iron, phosphorus, potassium, organic acids and proteins. 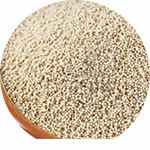 Amaranth has a higher content of protein and minerals worldwide than most traditionally grown crops. Proteins consist of a majority of essential amino acids, the content of calcium, magnesium, iron and zinc is very high. 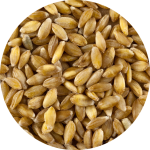 A large proportion of the carbohydrates are dietary fibers. Important silicon source and rich in minerals. 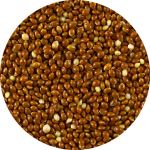 Browntop millet contributes i.e. to strengthen in the gums. Natural vitamin C with the highest bioavailability, contributes to the normal functioning of the immune system and a normal collagen formation in blood vessels, bone, cartilage, skin, and gums. More than 20 vitamins and minerals are contained in chlorella, including iron, calcium, potassium, magnesium, phosphorus, provitamin A, vitamin C, B1, B2, B2, B5, B6, B12, E and K, biotin, inositol, folic acid, as well as vitamins C, e and K.
With its fiber helps a healthy digestion. Contains essential amino acids, iron, magnesium, silicon and contributes to the firmness of the skin, hair and nails at. Contains magnesium, zinc, iron, copper, manganese. Contributes to a normal formation of connective tissue, nervous system function, and preserving vision. 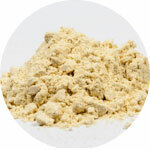 Galangal contains essential oils, pungent compounds and flavonoids. 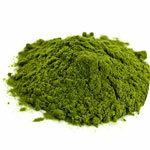 The pungent materials are attributed to an anti-inflammatory effect. 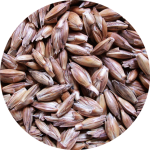 Oat contains in addition to carbohydrates, flavonoids flavonolignans the saponins A and B vitamins and minerals such as silica, iron, manganese and zinc. The Hericium is a culinary delight, but also a valuable Medicinal Mushrooms. 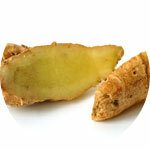 In traditional Chinese Medicine, it is used for many centuries. 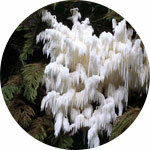 Hericium is a natural product and free of side effects. One can take Hericium erinaceus over many years daily. 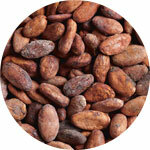 Cacao contains a variety of minerals such as calcium, iron and many antioxidants. Pumpkin contains of more than 90% of unsaturated fatty acids, many vitamins and minerals such as vitamin E, vitamin D, vitamin K, vitamin B, vitamin A, Vitamin F, carotene, calcium, magnesium and iodine. 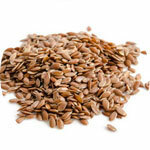 Flaxseed contains proteins, minerals, vitamins, lignin precursors, hydrogen cyanide precursors, enzymes. 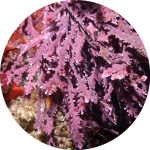 Lignans probably have a protective effect against colon cancer and breast cancer. The almond provides many unsaturated fatty acids, minerals such as magnesium, calcium and copper, as well as vitamins B and E.
The extremely valuable ingredients ensure this exceptional mushroom a high priority within the medicinal mushrooms. 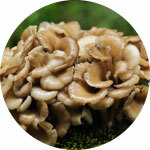 Maitake contains a high proportion of ergosterol, the precursor of vitamin D, which plays an essential role in the human organism. 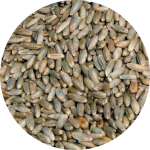 It also contains riboflavin, niacin, thiamin, biotin and folic acid, minerals and trace elements (iron, zinc, potassium, magnesium). 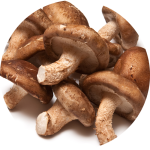 The Reishi mushroom provides the body with a wide range of vitamins and minerals available that are able to support optimal metabolism and promote. 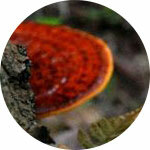 Vitamins of the groups B, D and E, iron, magnesium, copper and zinc are some of the essential nutrients that make the Reishi as valuable as a dietary supplement. 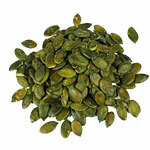 Provides potassium, zinc, phosphorus, magnesium, vitamins Group B, and amino acids. 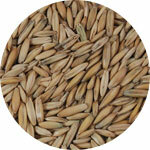 Rye provides a boost of energy and a normal function of the nervous system. 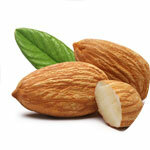 A valuable source of calcium and magnesium, which are required for maintenance of bones and teeth. Contributes to the normal function of the immune system and help maintain a normal cholesterol and glucose levels in the blood. Soy flour has a low-fat content (less than 1%) for a much higher protein content (over 50%), making it healthier than regular wheat flour. 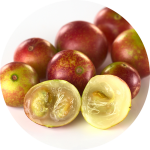 Yacón consists mostly of water and fructo-oligosaccharides, a natural sweetener, apart from the yacon root delivers 20 amino acids, high in potassium, calcium, phosphorus and iron.